Natural history encompasses scientific research but is not limited to it. It involves the systematic study of any category of natural objects or organisms. So while it dates from studies in the ancient Greco-Roman world and the mediaeval Arabic world, through to European Renaissance naturalists working in near isolation, today's natural history is a cross discipline umbrella of many specialty sciences; e.g., geobiology has a strong multi-disciplinary nature. The meaning of the English term "natural history" (a calque of the Latin historia naturalis) has narrowed progressively with time; while, by contrast, the meaning of the related term "nature" has widened (see also History below). In antiquity, "natural history" covered essentially anything connected with nature, or which used materials drawn from nature, such as Pliny the Elder's encyclopedia of this title, published circa 77 to 79 AD, which covers astronomy, geography, humans and their technology, medicine, and superstition, as well as animals and plants. Medieval European academics considered knowledge to have two main divisions: the humanities (primarily what is now known as classics) and divinity, with science studied largely through texts rather than observation or experiment. The study of nature revived in the Renaissance, and quickly became a third branch of academic knowledge, itself divided into descriptive natural history and natural philosophy, the analytical study of nature. In modern terms, natural philosophy roughly corresponded to modern physics and chemistry, while natural history included the biological and geological sciences. The two were strongly associated. 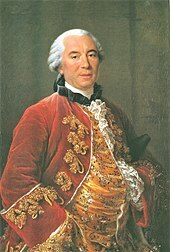 During the heyday of the gentleman scientists, many people contributed to both fields, and early papers in both were commonly read at professional science society meetings such as the Royal Society and the French Academy of Sciences – both founded during the seventeenth century. Natural history had been encouraged by practical motives, such as Linnaeus' aspiration to improve the economic condition of Sweden. Similarly, the Industrial Revolution prompted the development of geology to help find useful mineral deposits. Modern definitions of natural history come from a variety of fields and sources, and many of the modern definitions emphasize a particular aspect of the field, creating a plurality of definitions with a number of common themes among them. For example, while natural history is most often defined as a type of observation and a subject of study, it can also be defined as a body of knowledge, and as a craft or a practice, in which the emphasis is placed more on the observer than on the observed. Definitions from biologists often focus on the scientific study of individual organisms in their environment, as seen in this definition by Marston Bates: "Natural history is the study of animals and Plants – of organisms. ... I like to think, then, of natural history as the study of life at the level of the individual – of what plants and animals do, how they react to each other and their environment, how they are organized into larger groupings like populations and communities" and this more recent definition by D.S. Wilcove and T. Eisner: "The close observation of organisms—their origins, their evolution, their behavior, and their relationships with other species". This focus on organisms in their environment is also echoed by H.W. Greene and J.B. Losos: "Natural history focuses on where organisms are and what they do in their environment, including interactions with other organisms. It encompasses changes in internal states insofar as they pertain to what organisms do". Some definitions go further, focusing on direct observation of organisms in their environment, both past and present, such as this one by G.A. Bartholomew: "A student of natural history, or a naturalist, studies the world by observing plants and animals directly. Because organisms are functionally inseparable from the environment in which they live and because their structure and function cannot be adequately interpreted without knowing some of their evolutionary history, the study of natural history embraces the study of fossils as well as physiographic and other aspects of the physical environment". A common thread in many definitions of natural history is the inclusion of a descriptive component, as seen in a recent definition by H.W. Greene: "Descriptive ecology and ethology". Several authors have argued for a more expansive view of natural history, including S. Herman, who defines the field as "the scientific study of plants and animals in their natural environments. It is concerned with levels of organization from the individual organism to the ecosystem, and stresses identification, life history, distribution, abundance, and inter-relationships. It often and appropriately includes an esthetic component", and T. Fleischner, who defines the field even more broadly, as "A practice of intentional, focused attentiveness and receptivity to the more-than-human world, guided by honesty and accuracy". These definitions explicitly include the arts in the field of natural history, and are aligned with the broad definition outlined by B. Lopez, who defines the field as the "Patient interrogation of a landscape" while referring to the natural history knowledge of the Eskimo (Inuit). A slightly different framework for natural history, covering a similar range of themes, is also implied in the scope of work encompassed by many leading natural history museums, which often include elements of anthropology, geology, paleontology and astronomy along with botany and zoology, or include both cultural and natural components of the world. The plurality of definitions for this field has been recognized as both a weakness and a strength, and a range of definitions have recently been offered by practitioners in a recent collection of views on natural history. Natural history begins with Aristotle and other ancient philosophers who analyzed the diversity of the natural world. Natural history was understood by Pliny the Elder to cover anything that could be found in the world, including living things, geology, astronomy, technology, art and humanity. De Materia Medica was written between 50 and 70 AD by Pedanius Dioscorides, a Roman physician of Greek origin. It was widely read for more than 1,500 years until supplanted in the Renaissance, making it one of the longest-lasting of all natural history books. From the ancient Greeks until the work of Carl Linnaeus and other 18th century naturalists, a major concept of natural history was the scala naturae or Great Chain of Being, an arrangement of minerals, vegetables, more primitive forms of animals, and more complex life forms on a linear scale of supposedly increasing perfection, culminating in our species. Natural history was basically static through the Middle Ages in Europe – although in the Arabic and Oriental world it proceeded at a much brisker pace. From the thirteenth century, the work of Aristotle was adapted rather rigidly into Christian philosophy, particularly by Thomas Aquinas, forming the basis for natural theology. During the Renaissance, scholars (herbalists and humanists, particularly) returned to direct observation of plants and animals for natural history, and many began to accumulate large collections of exotic specimens and unusual monsters. Leonhart Fuchs was one of the three founding fathers of botany, along with Otto Brunfels and Hieronymus Bock. Other important contributors to the field were Valerius Cordus, Konrad Gesner (Historiae animalium), Frederik Ruysch, and Gaspard Bauhin. 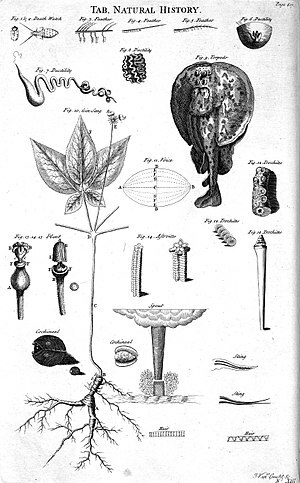 The rapid increase in the number of known organisms prompted many attempts at classifying and organizing species into taxonomic groups, culminating in the system of the Swedish naturalist Carl Linnaeus. A significant contribution to English natural history was made by parson-naturalists such as Gilbert White, William Kirby, John George Wood, and John Ray, who wrote about plants, animals, and other aspects of nature. Many of these men wrote about nature to make the natural theology argument for the existence or goodness of God. In modern Europe, professional disciplines such as botany, geology, mycology, palaeontology, physiology and zoology were formed. Natural history, formerly the main subject taught by college science professors, was increasingly scorned by scientists of a more specialized manner and relegated to an "amateur" activity, rather than a part of science proper. In Victorian Scotland it was believed that the study of natural history contributed to good mental health. Particularly in Britain and the United States, this grew into specialist hobbies such as the study of birds, butterflies, seashells (malacology/conchology), beetles and wildflowers; meanwhile, scientists tried to define a unified discipline of biology (though with only partial success, at least until the modern evolutionary synthesis). Still, the traditions of natural history continue to play a part in the study of biology, especially ecology (the study of natural systems involving living organisms and the inorganic components of the Earth's biosphere that support them), ethology (the scientific study of animal behavior), and evolutionary biology (the study of the relationships between life-forms over very long periods of time), and re-emerges today as integrative organismal biology. Amateur collectors and natural history entrepreneurs played an important role in building the world's large natural history collections, such as the Natural History Museum, London, and the National Museum of Natural History in Washington D.C.
Three of the greatest English naturalists of the nineteenth century, Henry Walter Bates, Charles Darwin, and Alfred Russel Wallace—who all knew each other—each made natural history travels that took years, collected thousands of specimens, many of them new to science, and by their writings both advanced knowledge of "remote" parts of the world—the Amazon basin, the Galápagos Islands, and the Malay archipelago, among others—and in so doing helped to transform biology from a descriptive to a theory based science. The understanding of "Nature" as "an organism and not as a mechanism" can be traced to the writings of Alexander von Humboldt (Prussia, 1769–1859). Humboldt's copious writings and research were seminal influences for Charles Darwin, Simón Bolívar, Henry David Thoreau, Ernst Haeckel, and John Muir. Natural history museums, which evolved from cabinets of curiosities, played an important role in the emergence of professional biological disciplines and research programs. Particularly back in the 19th century, scientists began to use their natural history collections as teaching tools for advanced students and the basis for their own morphological research. The term "natural history" alone, or sometimes together with archaeology, forms the name of many national, regional and local natural history societies that maintain records for animals (including birds (ornithology), insects (entomology) and mammals (mammalogy)), fungi (mycology), plants (botany) and other organisms. They may also have geological and microscopical sections. Societies in other countries include the American Society of Naturalists and Polish Copernicus Society of Naturalists. ^ With natural history articles more often published today in science magazines than in academic journals. (Natural History WordNet Search, princeton.edu. ^ Koerner, Lisbet (1999). Linnaeus: Nature and Nation. Harvard: Harvard University Press. ISBN 978-0-674-09745-2. ^ Pliny the Elder (2004). Natural History: A Selection. Penguin Classics. ISBN 978-0-14-044413-1. ^ a b "Natural History Timeline". HistoryofScience.com. ^ Patrick Armstrong (2000). The English Parson-naturalist: A Companionship Between Science and Religion. Gracewing Publishing. ISBN 978-0-85244-516-7. Retrieved 31 March 2013. ^ "Whitby Naturalists' Club". whitbynaturalists.co.uk. Retrieved January 23, 2018. ^ Mabbett, Andy (20 November 2010). "Older Organisations". West Midland Bird Club. Archived from the original on 23 May 2013. Retrieved 11 February 2015. Peter Anstey (2011), Two Forms of Natural History, Early Modern Experimental Philosophy. Farber, Paul Lawrence (2000), Finding Order in Nature: The Naturalist Tradition from Linnaeus to E. O. Wilson. Johns Hopkins University Press: Baltimore. Kohler, Robert E. (2002), Landscapes and Labscapes: Exploring the Lab-Field Border in Biology. University of Chicago Press: Chicago. Mayr, Ernst. (1982), The Growth of Biological Thought: Diversity, Evolution, and Inheritance. The Belknap Press of Harvard University Press: Cambridge, Massachusetts. Rainger, Ronald; Keith R. Benson; and Jane Maienschein (eds) (1988), The American Development of Biology. University of Pennsylvania Press: Philadelphia.